ASK ABOUT OUR SPECIALS TODAY! How do you book the most thorough and dependable carpet cleaning service in Fort Collins, CO in less than 5 minutes? Right on this page, through Fort Collins Carpet Cleaners, that's how! Fort Collins Carpet Cleaners is the absolute best, most thorough carpet cleaning service on the Front Range. We offer comprehensive carpet, upholstery, odor and stain cleaning services, and flood restoration services at the most affordable prices possible. No stain is too great! No smell is too foul! When it comes to cleaning carpets in Fort Collins and throughout the Northern Colorado area, we have your back! Forgot to take those muddy boots off at the door after hiking your last fourteener? Dog tracked his dirty paws on the living room carpet after a jaunt to the park? Whatever the cause, we can make that mucky carpet or upholstery look better than new in no time! Ready to book your cleaning? Just fill out the super easy form to the right, and one of our expert staff will contact you ASAP to book your service and pamper your home or office with that oh-so-fresh feeling. Want to talk to a real, live person? Give us a call at 970-422-1601 to speak to one of our dedicated customer service reps! Residential Carpet Cleaning - If you own or rent a home in Fort Collins and need to get your carpets cleaned, call us today. 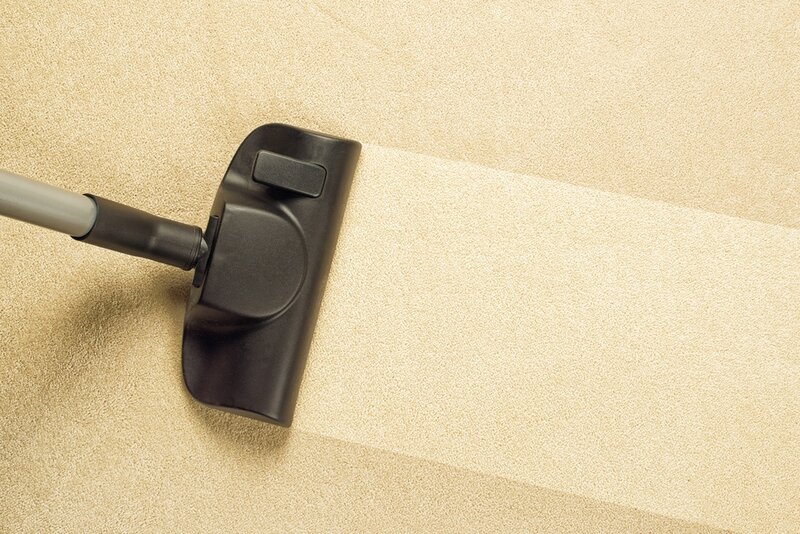 We specialize in making your floors and carpets look brand spanking new, or returning them to their former glory. We always have specials running all the time, and love cleaning carpets for our Fort Collins customers. Commercial Carpet Cleaning - Cleaning the carpets in offices around Fort Collins, Loveland, Windsor, and Greeley is one of our specialties! Making sure your work area is not cluttered with nasty carpet stains or smells is important to your workplace. We take care of all that - just call us at 970-422-1601 for a free quote. Flood and Water Damage Restoration - We are certified Flood Restoration and Remediation experts here in Fort Collins, and want to make sure that if you have a problem with water leaking into your home that you have a trusted company to call. Because of our cold weather, broken pipes in the winter are a common occurrence. Most families leave on vacation, and come back to their basements flooded, or many rooms overflowing with water. If you have a broken pipe, or outside water is flooding in, call the Fort Collins Water Damage Restoration experts at 970-422-1601 today. We are a 24/7 service. Apartment Move Out Cleaning - We are Colorado State grads, and want to help our fellow Rams move out of their apartments without having to vacate any of that security deposit. If you have a built in carpet cleaning clause in your lease, give us a call today to schedule your quick and easy cleaning. Your landlord will thank you. Upholstery Cleaning - Love seats, couches, chairs, seats in your automobile and basically anything that has upholstery covering it. We clean it, making it look like new, and returning that fresh smell to your nose after it's done. You don't want to sit on dirty couch or car cushions do you? We didn't think so. Call us for a free quote today. Stain Removal - Did you dump some red wine on the carpet during your last soiree at your house? Did your 6 year old drop the chocolate cake with bright blue frosting off the kitchen table during their birthday party? Did your pooch do their business inside instead of in the backyard? Whatever the reason, we can help get those nasty stains out. Our stain removal service is fantastic, call us and you'll see why. Odor Removal - If your cat has been missing the litter box, or likes the carpet more than you want them too, we can help. We are well versed in all the odor removal techniques, and can get them out for you. It helps if you know where the stains/odor is coming from, and we will consult with you before performing our service at your Fort Collins, Loveland, Greeley, or Windsor home. Hotel/Bed & Breakfast Cleaning - Northern Colorado has many hotels. If you're reading this, and your carpets have not been cleaned in quite a while, call us to have the job done the right way! No hotel carpet cleaning is too big or too small, and each hotel should have their carpets professionally cleaned once every two years. Mold/Mildew Removal - This normally comes with flood and water damage restoration services, but mold and mildew can appear without extensive flooding as well. Normally mold and mildew rear their ugly heads in bathrooms, kitchens, or places where water is always present. Mold testing kits can be bought at your local hardware store, but call us if you have questions or to see if your Fort Collins home is in need of mold remediation. Construction/Renovation Cleanup - If you've recently completed a major remodel, and need to have someone come in and clean the carpets to get all the dirt, dander, and bacteria out, we're the Northern Colorado company to do the job. 1. We strive for excellence in customer service. From booking your cleaning to the pearly white smile at the end of your service, we want your experience with us to be as clean and spotless as your carpet should be. We will be on time, efficient, and get the job done right every time. 2. No stain is too big or too smelly. Our cleaners have not met a stain they couldn't conquer. From the most run of the mill mud stain to the worst cocktail party catastrophe imaginable, our staff has what it takes to get the job done to your complete satisfaction. 3. Speaking of satisfaction, our cleaning is guaranteed to please. We stand behind our service. If you are not satisfied with the cleaning you received, simply let us know and we'll fix it. Period. 4. We know your community - we're a part of it. Our business is locally owned and operated. As devoted members of the Ft. Collins community, we absolutely love taking care of our own, and will make sure we make you feel like the neighbor you are. Need a cup of sugar? Just ask! 5. We want to keep Colorado Beautiful. Colorado is breathtaking, and we want to do our part to keep it that way. All of our products are environmentally responsible and non-toxic. We think you should be able to breathe easy knowing the air in your home or office is just as clean as the the air over Horsetooth Reservoir (or at least as close as we can get!). 6. Our cleaners know their business. All of our staff are professionally trained to know the ins and outs of every type of carpet and upholstery. You can rest easy knowing that your house or work space is in the right hands and will get the proper treatment it deserves. 7. No home or office is too big or too small! Need to freshen up the guest bedroom at the last minute before the in-laws arrive? Need a full office cleaning after the holiday party went completely haywire? Don't stress! We are fully equipped to handle any residential or commercial space, no matter the size or complexity of the job. 9. Your time is money! Especially if your carpet is ruined by improper use of consumer carpet cleaners and abrasive cleaning supplies. Home carpet cleaning products are more often than not sub-standard, and increase the risk of a poor cleaning or worse, ruining the carpet altogether. Leave it to the professionals and save your time, energy and peace of mind. 10. We can meet your deadline! We understand that accidents don't happen on a schedule. If you need a last minute cleaning due to unforeseen circumstances, give us a call ASAP. We'll do everything in our power to accommodate your time constraints so that you can get back to work or play in no time flat. Ready to book a cleaning with Fort Collins Carpet Cleaners? Fill out the easy form to your right or give us a call today. You won't be disappointed!